Don't Let This Happen to Your Trees!! Don’t Let This Happen to Your Trees!! Many homeowners and business owners don’t realize how important it is to have their trees pruned properly. It’s essential to make proper cuts when pruning trees. 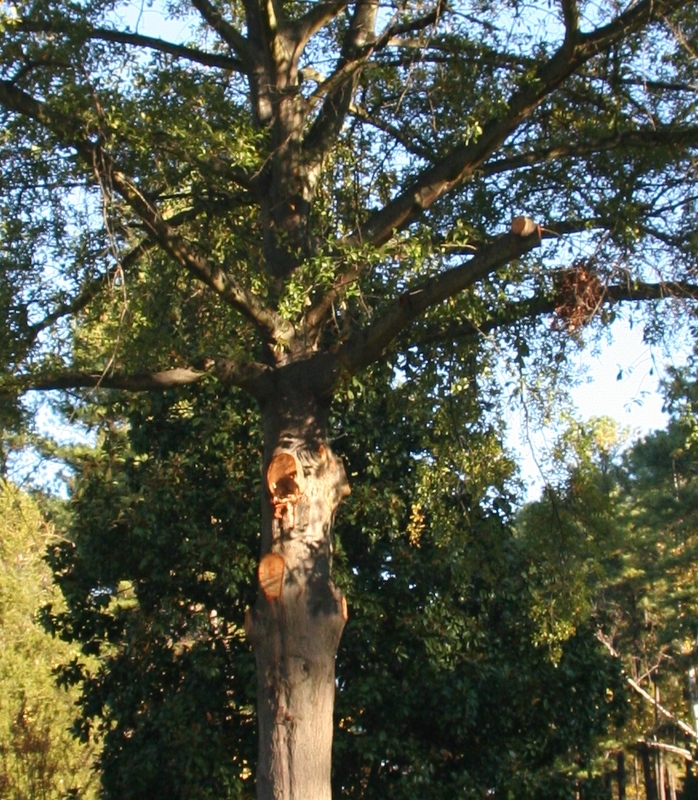 -Branches are to be cut in a three cut progression that prevents stripping away of the bark below the cut. -branches should not be headed off; this is when a branch is hacked off beyond the branch collar in an area where there is no lateral branch, creating an unsightly stub. This is done when unprofessional workers top trees. All of these mistakes were made in the photo above. Someone probably saved money in the short run by pruning this tree themselves or paying less for an unprofessional, unknowledgeable company to do the work. Unfortunately this person will pay in the long run in the way of diminished curb appeal and possibly even a dying or dead tree.